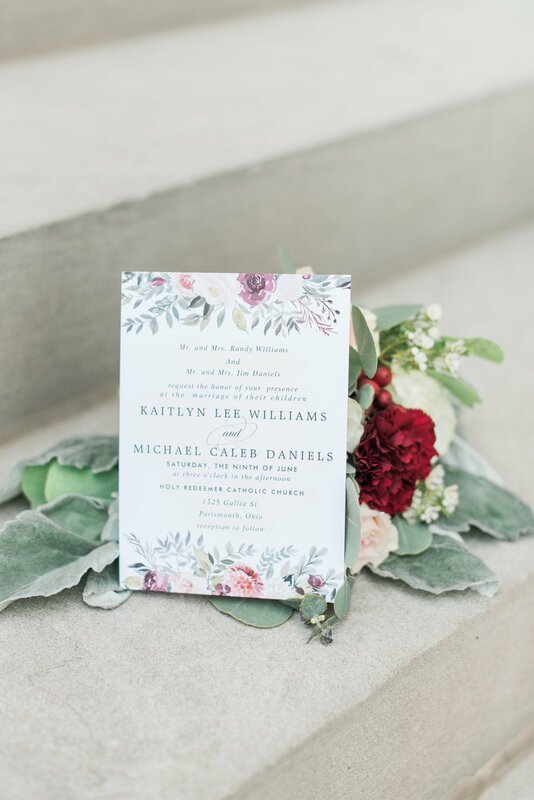 Last Saturday, Kaitlyn and Michael were married in the darling little river town of Portsmouth in southern Ohio -- the same area where they both grew up, and are now starting their own chapter of life together as husband and wife! 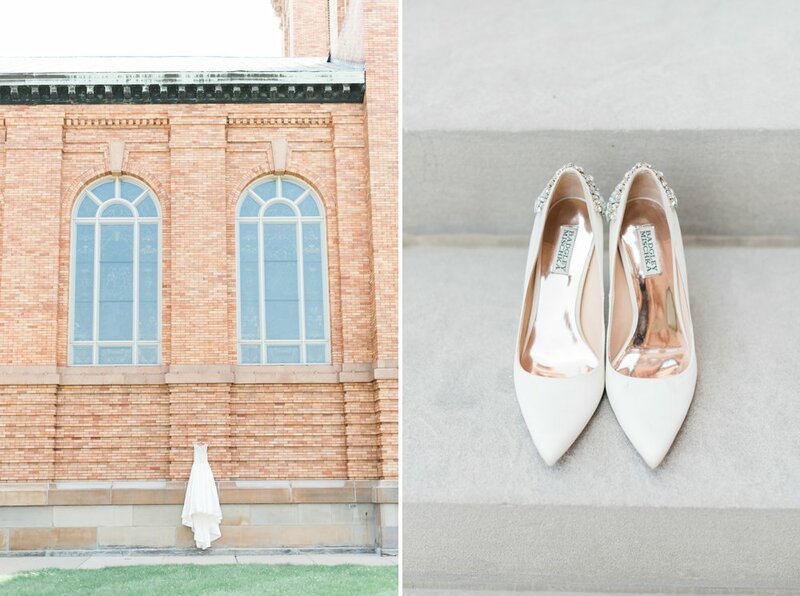 Their wedding day was so elegant and classic in every way imaginable. 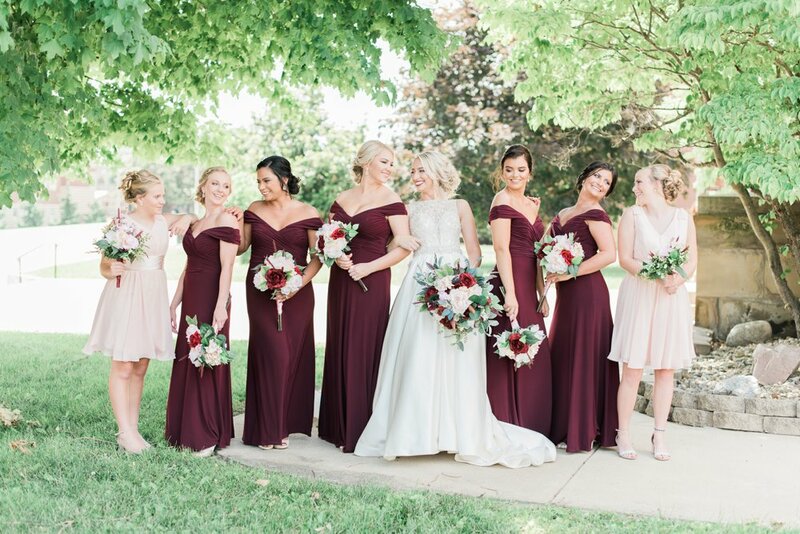 They were married in the church that Kaitlyn grew up in, Holy Redeemer Catholic, and following tradition, Michael saw Kaitlyn the first time in her dress as her father walked her down the aisle. It was the sweetest moment! After their rose petal send off, we took pictures around the rolling forest of Shawnee State Park, and they celebrated into the night at Shawnee Lodge with their family and friends. 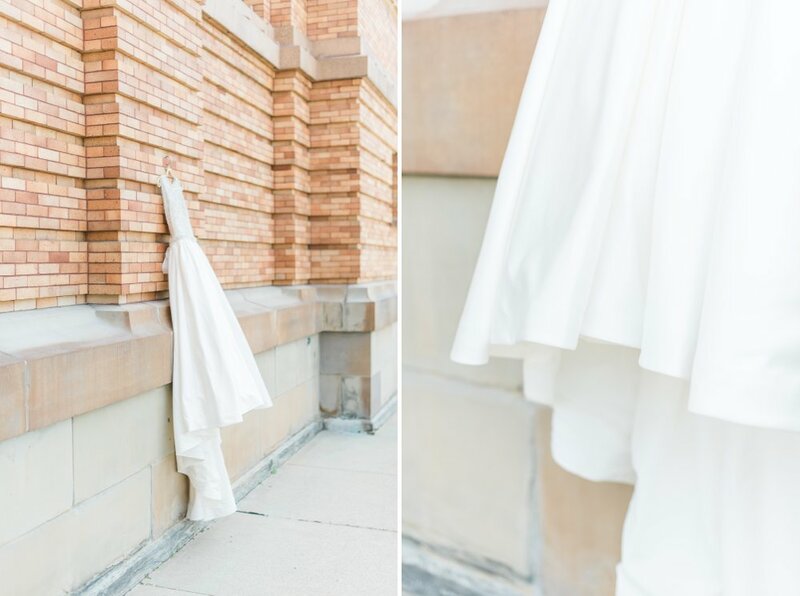 Kaitlyn was completely stunning in her full, satin gown with its delicate beaded bodice. 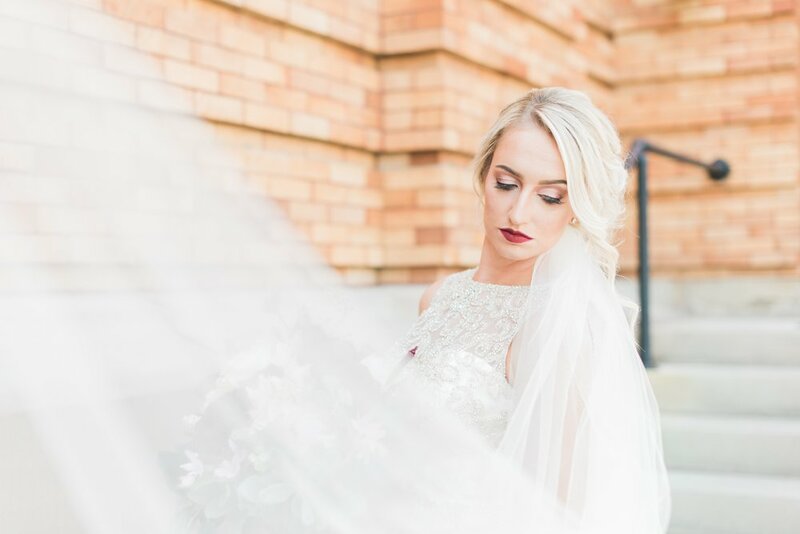 She accessorized with a pair of white sparkly heels and a dreamy cathedral veil! 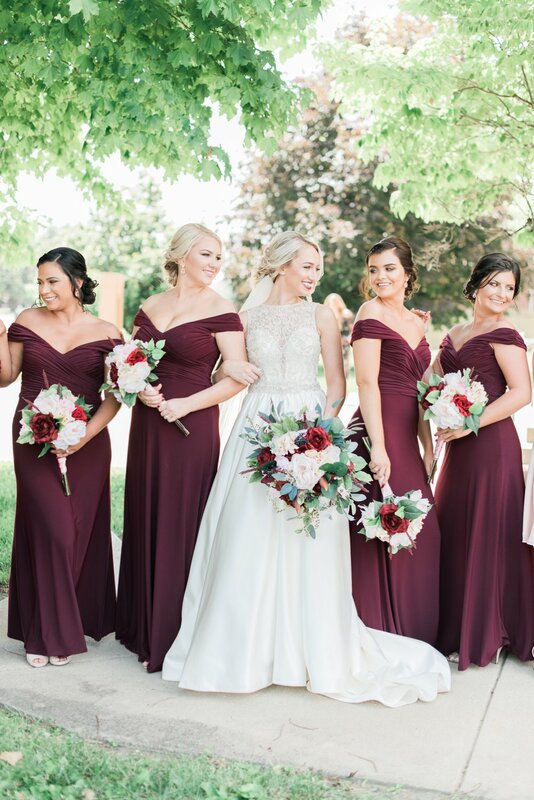 Michael's classic navy suit and bow tie complemented her look perfectly, and I love the accent colors of burgundy and blush that they chose for the bridal party as well. The rustic, wooded backdrop of Shawnee State Park was perfect for their portraits, since they both have careers relating to the environment, and love the outdoors. 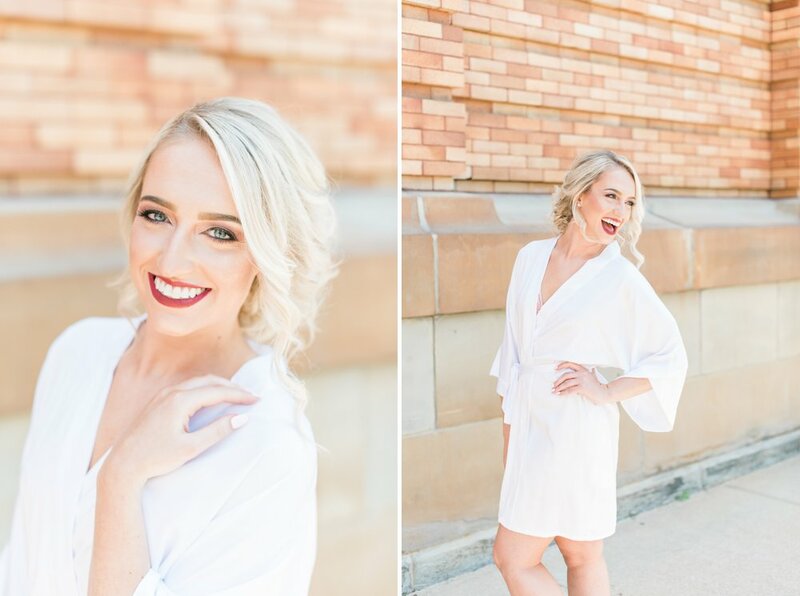 It made me so happy to be able to sneak them out at sunset for some more relaxed photos in that glowy evening light. What a great way to cap a perfect day! 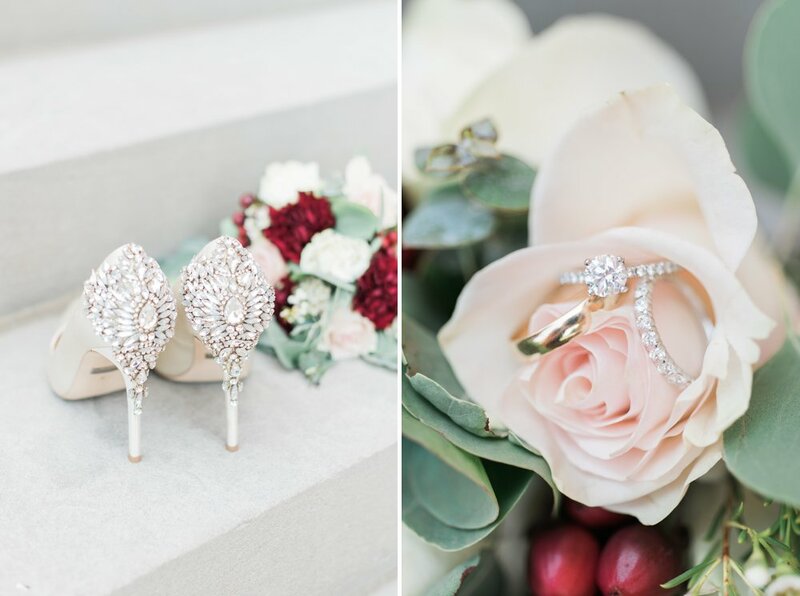 See Kaitlyn & Michael's engagement session here!